The macula is a small area of the retina; it is the nerve layer in the back of the eye where images form. Although only the size of a pinhead, the macula is responsible for producing our clearest, most acute vision and controls most of our central field of vision. Without the macula, central vision is lost, but peripheral or side vision remains intact. What Is Macular Degeneration And What Causes It? Macular degeneration is a slowly progressive disease that causes a reduction in central vision. In the early stages of the disease, the effect on vision may be minimal or unnoticeable. As the disease progresses, fine detail becomes more difficult to see, especially when reading. Vision may appear distorted, or parts of objects may appear to be missing. Macular degeneration is classified in two stages: dry and wet. In the dry form, a scar slowly develops over the macula causing decreased vision. In the wet form, blood vessels grow under the retina and leak, causing a large scar and severe visual loss. This leakage is not connected to watery eyes. 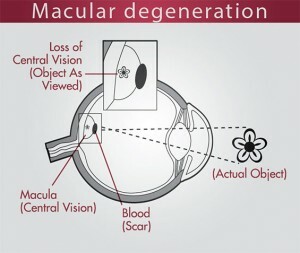 There is no pain associated with macular degeneration. No one is totally sure what causes macular degeneration. Heredity, the environment, age and general health may all be factors. Recent studies indicate that exposure to ultraviolet radiation, as well as deficiencies in certain vitamins and trace minerals, may also affect macular degeneration. Smoking has been linked to the more severe form of macular degeneration. Can Macular Degeneration Be Cured Or Treated? At this time, there is no cure for macular degeneration; however, there are treatments and many good ways to live with and reduce the risk of severe vision loss. Recent advances in the treatment of macular degeneration involve intravitreal injections of specialized medications that target the disease. This new retina treatment technology can now save the vision in many people who previously did not have these options. Many people can improve their vision by increasing the light and contrast. This can be accomplished by high energy light bulbs and amber or yellow tinted sunglasses. Glasses will also decrease ultraviolet radiation. Specific vitamins and minerals, such as vitamins A, E, C, and zinc, have been used to slow down macular degeneration. Surgery is being used more frequently. Research is also being conducted in transplanting retinal tissue. Early detection by selfmonitoring with an Amsler grid and stopping smoking are the two most proven ways to lower your risk of vision loss. An Amsler grid is a box with straight lines that can detect early changes by distortion. Will Macular Degeneration Cause Blindness? The progression of macular degeneration and individual responses to treatment are highly variable. Multiple laser treatments are sometimes necessary. Even in the most advanced cases, macular degeneration does not lead to blindness. The central area of vision may be significantly decreased, but peripheral or side vision remains clear. 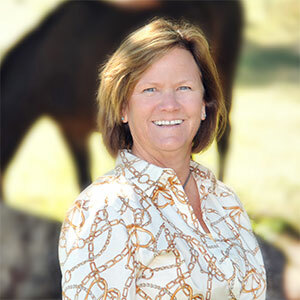 In these cases, a specialist in the field of low vision can often assist in making maximum use of the remaining vision. Persons Over Age 50 Should See An Eye Care Professional Every 2 years. Schedule your appointment today. Drs. Campbell, Cunningham, Taylor and Haun are standing by ready to offer personal care and state-of-the-art technology. For an appointment, call (865) 584-0905.